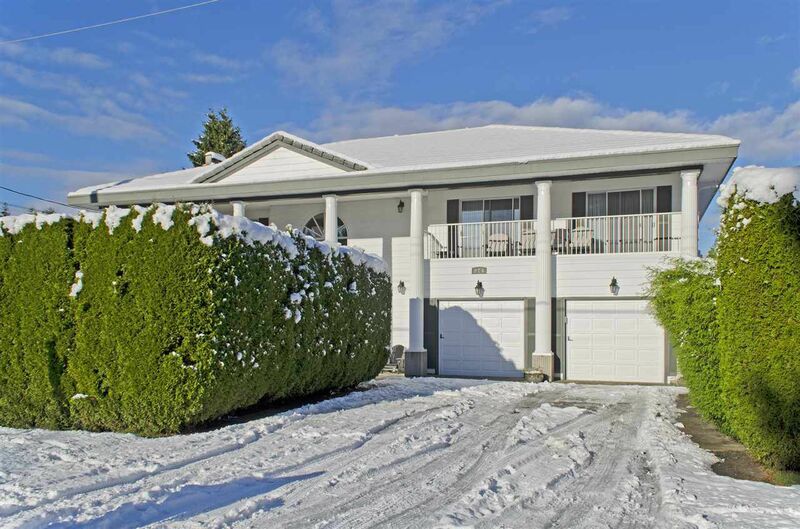 This well kept West Coquitlam family home offers 6675sq ft of living space. Grand foyer opens up to adjoining sunken living room with gas fireplace. Spacious renovated kitchen features 5 seat breakfast bar, stainless steel appliances, granite counters, tiled backsplash, and double undermount sink. Family room and dining room with sliders to rear deck with mountain views. Upstairs is master suite with fireplace, changing area, 6pc ensuite, and sliders to enclosed solarium. Four more bdrms up & full bath. Entertaining basement w/games room, lounge, gym with hot tub. Bonus, rear lane access. Minutes from Skytrain, Hwy 1, Lougheed Town Centre, Vancouver Golf Club. Easy to show!